Parents often complain that their very young ASD-affected child 1) Gets sick pretty often, 2) Stays sick for a pretty long time, 3) Gets lots of infections in a row, and 4) their behaviors seem to be more concerning during such illnesses (either too “tantrummy’ or too docile), the Pediatrics article noting improvements in some patients notwithstanding. It’s flu season. 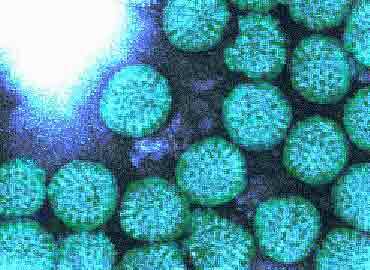 What is the flu? It’s a respiratory infection caused by an RNA virus. Signs and symptoms are temperature elevation, stuffy/runny nose, coughing, flushed skin and behavioral changes specific to each ASD patient. Appetite is usually decreased, sometimes problems keeping solid foods down and diarrhea may occur with, or shortly after the onset of symptoms. It’s a G-I infection, mostly caused by a (different) RNA virus. Signs and symptoms are temperature elevation, appetite is usually decreased, often problems keeping solid foods down and diarrhea may occur with, or shortly after the onset of symptoms. There may also be a runny nose, coughing (especially if there is reflux), flushed skin and behavioral changes specific to each ASD patient. I have previously written my thoughts concerning the overuse of antibiotics. So, in this article, I plan to help patients through the present bout of illness, and hopefully even prevent future occurrences. What do I do about the fever*? Autistic children are generally more resistant to pain and less verbal than others. I believe in treating the fever fairly aggressively. First, it will help ease their suffering, specifically the headache (?head banging?) and stomach ache (?hyperactivity?). Liquid ibuprofen (MOTRIN®) without food enhancers would be best, and stay away from acetaminophen (TYLENOL®), which interferes with glutathione production and aspirin, of course. Also, especially since many ASD patients don’t drink enough fluids anyway, increased body temperature leads to more fluid loss, so encourage fluid – not food – intake. The children don’t need soup, or smoothies, or especially over-the-counter cough and cold remedies which could make symptoms such as stims or sleep disturbances worse. It would be great if I could recommend products such as Gatorade or Powerade, but they contain high levels of HFCS and artificial ingredients. Products such as this seem to fit the bill. Finally, any difficulty handling your child’s fever with both adequate fluids (~1-2 oz per hour) and antipyrretics should be reported to the child’s physician and may necessitate the doctor visit. What do I do about the symptoms? Many of the child’s symptoms will calm down with fluids and fever abatement. For parents who remain concerned about upper respiratory symptoms, I find that the homeopathic remedies offered by Boiron are about as effective as anything else and they don’t cause more symptoms than they help (as is the problem with almost all the other cough and cold preparations). Often, diarrhea responds well to the Bananas-Rice-Apples-Tea diet (as allowed) in your child. At the onset, stay away from solid foods as much as possible. Again, adequate fluids are important. You can check how hydrated your child is by feeling for some moisture in the mucus membranes and noting the amount and color of urine. Very little and very yellow are signs of poor hydration. The use of medications containing loperamide (IMODIUM®) is not a good idea, especially in ASD patients. The chemical slows down gut motility without really fixing the problem, and dehydration is even more difficult to ascertain. I usually ask our patients to double their dose of probiotics until 3 days or so after the diarrhea stops. Bismuth containing agents (Pepto-Bismol®) are generally not recommended because they contain aspirin-like substances which are not to be given to children. If you see black stools after giving it, however, it’s from the medicine, not the child. If the diarrhea persists for more than a few days, the child should be seen by a physician. Vomitting is a different story. If the child is simply bringing up the food right after eating, and it is only a small amount, just stay with clear liquids as suggested above. If the child is vomitting persistently or for no reason, you should definitely speak with the pediatrician and may need to have the child examined. Again, stopping the vomitting with anti-emetic medications (e.g. Compazine) is not a good idea in ASD patients because it may be the only way to tell what is going on. I took the child to the pediatrician and was told that the tonsils, adenoids, lymph nodes are enlarged and I need to give an antibiotic. Is that OK? ANY infection is handled by the glands in the head and neck. The surest sign that bacteria might be involved is a persistently high fever that is difficult to control. Pediatricians are more likely to be aggressive with children under the age of 3 because of the chance of a febrile seizure. It is not the job of practitioners such as myself to put the parent in the middle between two (or more) doctors. The practitioner who sees your child bears ultimate responsibility, so listen to them. Children who keep pulling at their ears or hitting their heads might very well have (or also have) otitis media, which, although usually caused by viruses, is generally treated with antibiotics. What should I do about giving the other medications/supplements that my child is taking? It is probably prudent to stop most meds/supplements if a child is experiencing vomitting and/or diarrhea. The sole exception is the probioitcs, which could hasten recovery. For upper respiratory symptoms, continuing the supplements is probably a good idea in order to keep the immune system in the best shape possible, but again, increasing the probiotic until 3 days after the child is improved can be helpful. Why don’t doctors such as myself recommend the flu shots? We are trying to decrease the patients’ total inflammatory load. 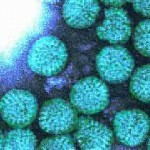 Presently, there are very few medications which actually kill viruses and they are only for serious infections. My counsel is that, at the onset of our biomedical intervention, let’s get the kid better and not cause inflammation, which is what vaccines are supposed to do. BTW, such circumstances do favor the opinion that siblings and family contacts should be vaccinated in order to decrease the affected child’s chance of becoming infected or re-infected. *DISCLAIMER… see the doctor if you have any medical concerns about your child. This entry was posted on Thursday, November 22nd, 2012 at 10:36 am	and is filed under >ALL<, Alternative and Complementary Medicine for ASD, Autism Therapies, Patient experiences. You can follow any responses to this entry through the RSS 2.0 feed. You can leave a response, or trackback from your own site.